BGN Technologies, the technology-transfer company of Ben-Gurion University of the Negev (BGU), announced that a research group led by Prof. Varda Shoshan-Barmatz of the BGU Department of Life Sciences and the National Institute for Biotechnology in the Negev, is developing a new molecule to treat cancer that inhibits cancer cell growth and changes these cells back to normal ones. 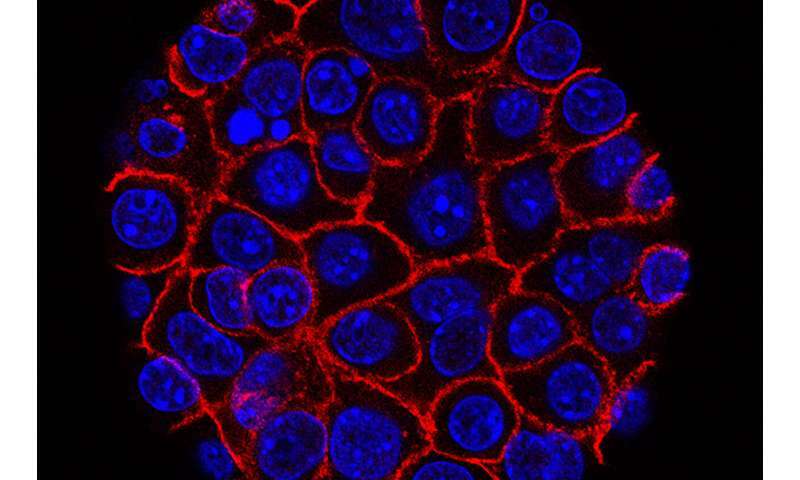 By silencing VDAC1, the researchers were able to inhibit cancerous cell growth. This offers potentially wide applicability, since treating the cells in a culture with the siRNA resulted in significant inhibition of cancerous cell growth without affecting noncancerous cells—an indication of a potentially safe treatment. Prof. Shoshan-Barmatz has previously demonstrated that silencing VDAC1 expression using the siRNA method—a tool that temporarily silences protein coding genes—leads to inhibition of cancer cell growth both in vitro and in mouse models of glioblastoma lung cancer and triple negative breast cancer.